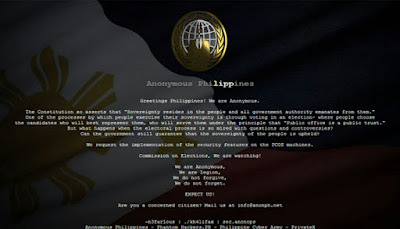 Recently in the Philippine News Media are reported hacks and deface on COMELEC (Commission on Elections) Website. Now wehaveyourdata.com has been come up and now became viral on social media! The website publicly provides the information of voter's personal data including birth date, civil status, birth place, address, and also precinct number just by entering the first name, last name and maternal name. Voter's data are now searchable on the internet, sounds alarming right? And look, there's also a download link of COMELEC's election data breach and dzMM website's database breach in lulzsec.ml, formerly known as lulzsecph.net who got suspended because of the complain prior to the issue of COMELEC's biometrics data leaked after hack. Ofcourse, we don't want our personal data to be use by others or any means. You know, we can make a change by reporting the wehaveyourdata.com using this Cloudflare's Abuse Form. is this the link to the website?